Complete and send in a standing order or use PayPal. past presentations, survey invitations for recent lectures. to catch up with colleagues and to keep in touch with what’s going on in the profession. very carefully and you can opt out at any time). Find out more of the Society. Details of all past meetings in date order. to download to study at your leisure. Refer to Diary page for details. Booking now open. 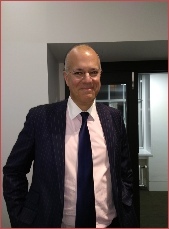 Prof Epstein’s Gastroenterology presentation is available to members on the download page for 2019. Danny Orchard’s excellent presentation is now available too. The GOsCare holding a workshop on the context of Touch at Osteopathy House on Wednesday 27 March and you are invited.